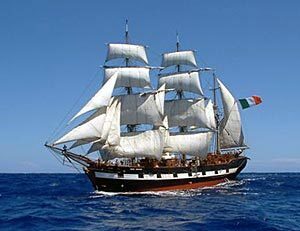 In early 1993 Don Mullan saw a letter published in both the Irish Times and the Irish-American newspaper, the Irish Voice, criticising the Irish Government for doing nothing to commemorate the approaching 150th anniversary of the Great Irish Famine. He considered the criticism unfair as most politicians find it hard to think beyond their four year term. Consequently, he initiated a White Paper on behalf of AFrI which was presented to the Minister for State at the Irish Department of Foreign Affairs, Tom Kitt. world to the Government with concrete proposals concerning the anniversary. 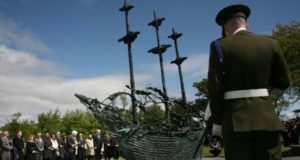 The White Paper included suggestions for a national memorial in Co. Mayo, an Atlantic crossing to commemorate those who perished as political and economic refugees; and linking an increase in Official Development Assistance to the 150th anniversary. The AFrI proposals were, variously, implemented. Furthermore, the paper led to the then Taoiseach, Albert Reynolds, instructing Minister Kitt to establish an inter-departmental committee to plan for the 150th anniversary. The influence of this committee is still ongoing and eventually led to the establishment of an official Great Famine Commemoration Day in 2009.